Located in the heart of the historic Golden Square Mile in Montreal, Quebec, Le Méridien Versailles has recently completed a luxurious reconstruction of their lobby. Renovations expanded the area to more than twice the original size, as well as opened the interior of the hotel to directly connect with the neighboring restaurant Branzino. The updated lobby, now named the Hub, features a new bar and seating area, designated to open up opportunities for guests to mingle. Hovering above Le Méridien Ra Beach Hotel & Spa in a helicopter—camera in hand and hundreds of inflatable inner tubes below—photographer Gray Malin officially kicked off his collaboration with Le Méridien Hotels & Resorts. Dubbed Follow Me: A 24-Hour Visual Journey Through the Lens of Gray Malin, this global partnership gives guests an exclusive look at one artist’s creative process, as he goes to great lengths (and heights!) 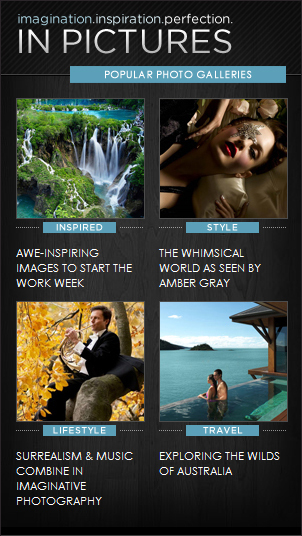 to capture his signature images in exotic locations around the world. Hotel Reviews: Nestled in a tropical paradise of palm trees and African flora and fauna,Le Meridien Ibom embraces its surroundings and exudes a magical ambiance inviting adventure-seeking guests worldwide. The contemporary architectural design reminiscent of a French chateau, proves to be a visual delight for all who stay at the hotel.